Yes, termites can eat your money away, literally! We are not just talking about these pests devouring portions of your home, boats, furniture, paintings or antiques. Termites are again in the news for almost eating away around $65,000 of banknotes stashed away in a wooden drawer in China. 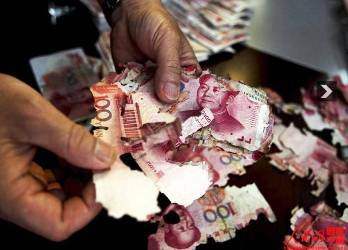 Fortunately for the old lady in Guangdong Province, bank employees were able to identify about 85% of the damaged banknotes. Nonetheless, the act of ignoring the threat posed by termites cost her close to $10,000. A couple of years ago, $225,000 was lost to termites when bank officials in India underestimated the extent of their termite problems and took their chances with the pests under their noses. Don’t take chances with the safety of things you value, like your home, important documents, banknotes, antiques and heirlooms. Prevent and control termite pests. Furthermore, don’t take chances with the safety of your loved ones. Let termite control professionals do it for you. Doing it yourself can do more harm than good. Call Bio-Tech Environmental Services Team of Professionals at (02) 638-2566.